Being trendy in cut and stylish in look is what every customer expects from their hair salon. And the same should reflect on your Hair Salon Website to keep the peoples’ interest alive. 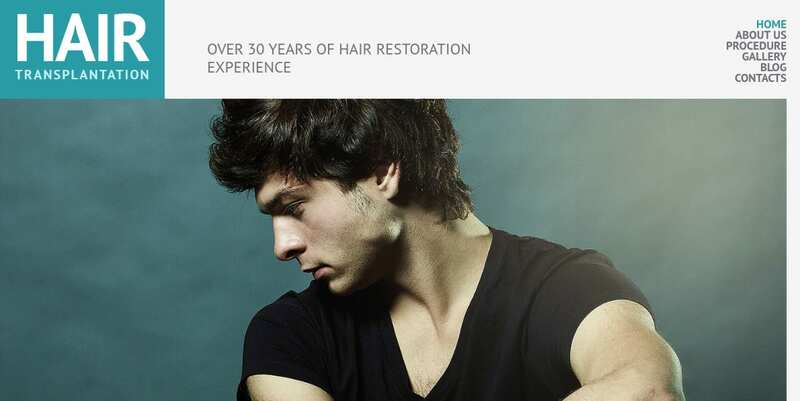 With the Salon Website Templates available here, you will get a truly immersive experience in the most responsive way. These templates are available for all major website platforms and they offer cross-browser compatibility. Try one of these templates to give your site an extra edge over the competitive market and make the visitors come back to your website every now and then. This template has been created with a responsive design that quickly adapts to any screen size without losing its fame. It’s been coded with parallax technique that gives an immersive look of depth in 2D environments. The Stick-to-top menu feature of this template keeps your offering right before the eyes of visitors. The template comes with valid semantic codes to serve you a better SEO ratings. This a fully featured WordPress theme customized especially for hairdressers and their businesses. The strong admin panel and WooCommerce support make it exactly what you have thought of your hair salon business in mind. 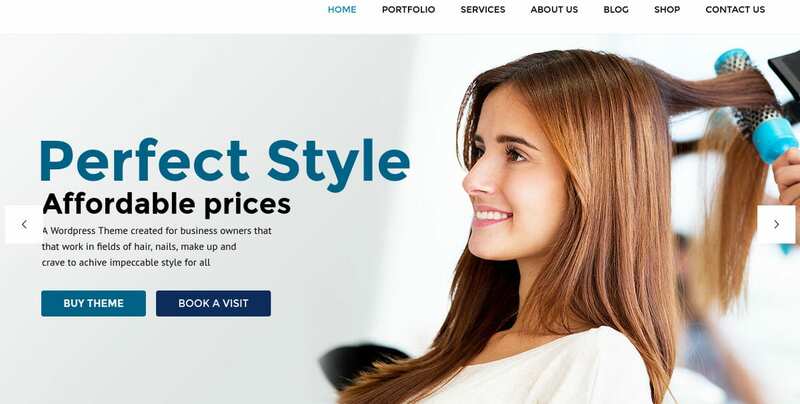 Visual composer, revolution slider and unlimited color option make it a perfect template for your hair salon website. To sell your hair styling service or salon products- this hair salon responsive Shopify theme is what all you need. Pre-loaded with advanced features of modular layouts, commenting system, and social option, this is a complete package for blogging and online shop functionality. No need to worry about compatibility issues because the theme comes with a responsive design and cross-browser support. With cool soothing watery images, this user-friendly WordPress theme is a wonderful promotional website template for your beauty salon, spa, and hair-care center. You can choose and customize the theme according to the service you are providing. Showcase the multiple colors and components of your beauty salon with this retina ready, fully featured modern WordPress hair salon theme. This responsive hair salon design has the latest Moto CMS version and is loaded with multiple Moto CMS widgets. This theme offers a flexible layout and cool graphics that give an extra professional touch to your website. Integrated with media managers and animated with Lazy Load Effect, this theme is the perfect blend for your hair salon website. Here is another spa beauty theme designed elegantly for DrupalCommerce websites. It is a well-designed modular layout theme which is best suited for spas, hair salons, and wellness centers. This site is fully flexible so that you can convert this aqua website into your business carefully and tastefully within minutes. 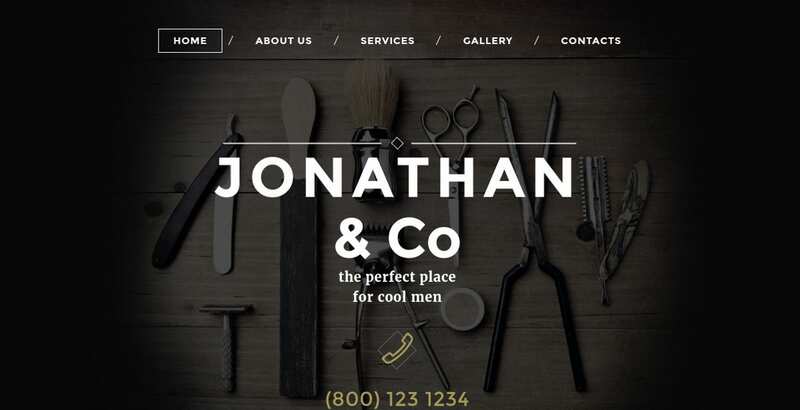 This is a beautiful one-page bootstrap theme for hair salon and beauty centers. It comes with an animated intro and static independent pages that keep your visitors engaged and stuck to your business. It is a quite simple and lightweight design which is suited for all sorts of the salons from small to medium scales. This is a high-resolution WordPress hair salon theme with a 100% responsive design. It has been technically catered with a modern layout and custom page template that create an effective aura around your webpage. Go for this theme if you like to work at your ease and with widgets options. If you are looking for an outrageous website theme at an affordable cost, this HTML website template is a perfect pick. It has simple and attractive page layout and it has been built on top of SASS Twitter Bootstrap front-end framework that creates quick performance slides and sprite image for your webpage. This is an elegantly tailored premium beauty WordPress theme suitable for any projects in the beauty industry. It has dozens of premade pages and layouts that are fully functional and produce a special impact on your clients. With WooCommerce support, multilingual functionality etc, the visual composer gives you enough reason to go for this theme. This hair salon template is fast and lightweight with 100% responsive layout. It comes with high-resolution images and an integrated web store that gives your hair salon business a quick kick start. With tones of short codes and widgets, it is the perfect choice for HTML websites. This is one of the WordPress themes with beauty and power. It has simple drag and drops page builder that lets you customize a creative hair salon website without any coding. It has an advanced set of configuration with more than 25 modules that empower your webpage and help you to create something unique. With all these eye-catching and business-friendly beauty salon websites templates, your Salon Templates are surely going to prosper. 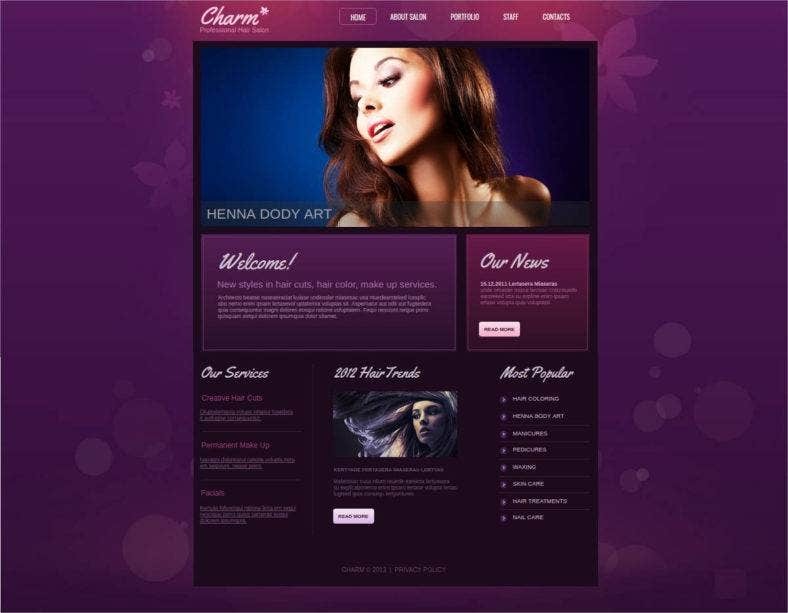 Any of these templates can become a perfect match for the website committed to hair or beauty salon. All these templates are available with authorized sellers who are ready to attend to your query any time with their support team. So just go on and create a new style for your website.